There’ll be hardly a ripple WOC. Agree that this seat (like Meon Valley, Arundel and the South Downs and various others in the locality) are barely worth a passing mention. We are developing different party systems as I said on the Newark thread. That the Tories do well (in swing) or Labour does well (in swing) in a given area does not mean either party is doing relatively well across the country. Maybe this will turn out to be wrong and exaggerated at the end of it all – it could – but it really does not feel like any other situation. There is not unity across the country about the priority issues – let alone a united verdict on the 2 main parties. Horsham will not even be a ripple but that doesn’t mean we will desperately fighting to hold key marginals. (cons) in some other areas. i.e we will be desperately fighting to hold other seats even though here I would expect the swings to be to the Conservatives, partly because of who is second, but not just that. Peter Crawford – you did say under “Labour target seats” that you wanted less debate about the marginals because we were going round in circles! I sort of agree with you but it’s a bit harsh having a go at WindsofChange, even though his ludicrously over-optimistic forecasts for Green share of the vote in many seats is distinctly trying. Francis Maude is stepping down as an MP this May according to Tim Shipman. A lot of Tories in Sussex are standing down. Others doing so are the members for Bexhill, Wealden and Hove. 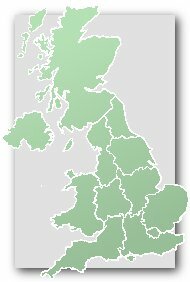 No Tory MPs stood down in Sussex in 2010, only Labour MPs (3 of whom didn’t stand for re-election – Crawley & the 2 Brighton seats). Selection of new Tory candidate on Thursday 12th March. Any local knowledge of who is expected to get this Ian? Laura Trott is on the shortlist here isn’t she? I know she’s a favourite of Cameron/Osborne so presume she’s got a very good chance? Sorry, no idea at all. It appears they’ve gone into lockdown! Mark Wallace from ConservativeHome posted on his Twitter that Jeremy Quin was selected as Tory PPC for Horsham. He was in the running for South Suffolk, Bexhill & Battle and Fareham, previously. The final shortlist was him, Sibby Buckle and Rachel Joyce. He apparently got 80% of the vote! His résumé does seem quite impressive judging by his website. I suspect the association thinks he has frontbench potential. He certainly seems to have built up good connections. So the CON candiate who is Oxford educated and not at all local will win – but surely with a reduced maj, providing the LIB Dems vote can hold and UKIP will take some from CON. Really annoys me that someone like Jeremy Quinn with NO local knowledge can be selected. The Labour candidate is even less local than the Tory (who claims some local knowledge through his wife’s parents, who live just south of Horsham). I went to a hustings last night in the constituency, where all the candidates were applauded at some points for their answers – it was a church event and therefore sonewhat skewed towards questions on poverty/international aid. Four of the candidates (Lib dem, Labour, Conservative, Sonething New) seemed good public speakers, with strong and articulate arguments: the other four were noticeably less impressive. It suggested to me that UKIP won’t do so well, but that’s just one view, of course. I’ve only seen UKIP and Conservative posters around the constituency, but then I live away from the main population centre; it may be different in Horsham itself. Francis Maude is still listed as a Minister. Has he been given a Peerage? Not yet but it’s expected. Of course you don’t need to be a member of either the Commons or Lords to be appointed a minister. That’s just a convention.